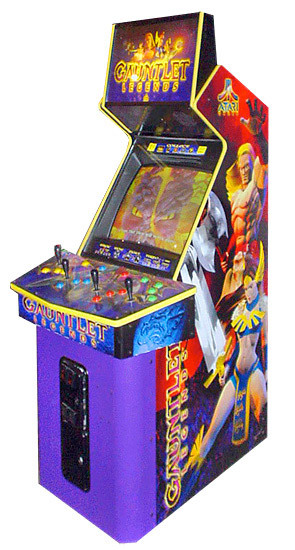 Gauntlet Dark Legacy Arcade Game for rent is an arcade game released in 1998 by Atari Games. It is a fantasy themed hack and slash game, a sequel to 1985’s popular Gauntlet and marks the final game in the series to be produced by Atari Games. 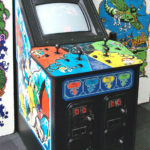 Its unusual features for an arcade game included passwords and characters that could be saved, enabling players to play over the course of a long period. 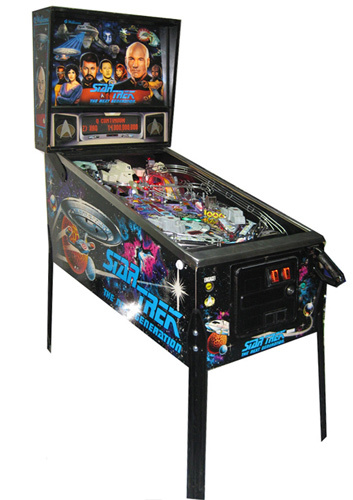 Similar to the previous Gauntlet games for rent in this series. The designers have made each of the eight realms extremely deep and complex. Each realm has its unique challenges, from fire-breathing dragons to fang-toothed goblins to maniacal boss monsters. 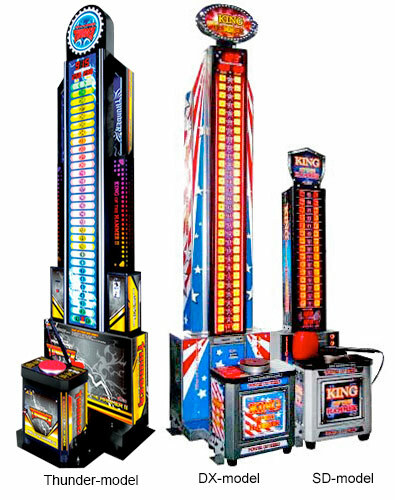 We have 3 cabinet style of Gauntlet Arcade Games available for rent. 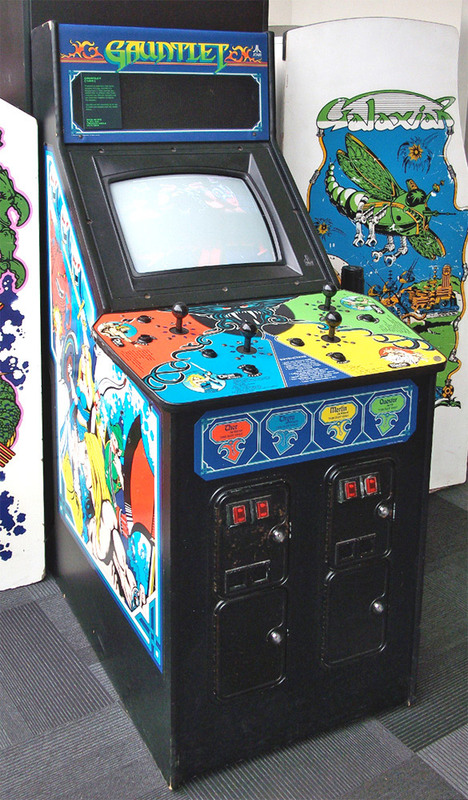 The original cabinet with Gauntlet II game, the cabinet pictured above with Gauntlet Dark Legacy and the showcase cabinet with 36″ monitor with Gauntlet Legend. 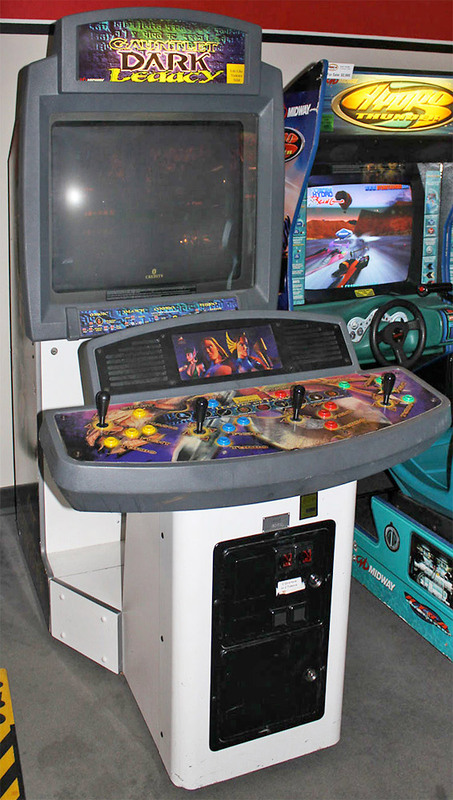 Video Amusement delivers rented Gauntlet Dark Legacy Arcade Games in California, San Francisco Moscone Center, At&T Park, San Jose Convention Center, Levi’s Stadium Santa Clara, Mountain View Shoreline Amphitheater. Cruz, Palo Alto, Monterey Convention Center, Salinas. Sacramento, LA Live, Staples Center Los Angeles, Anaheim Convention Center, Long Beach Convention Center. San Diego, Silicon Valley, East Bay, Central Coast and Bay Area cites as well Las Vegas Nevada MGM Grand. T-Mobile Arena, Mandalay Bay, Sands Expo and Las Vegas convention Center. 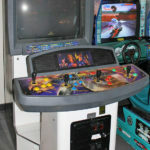 Let’s have fun and party with Gauntlet Dark Legacy Arcade Game!